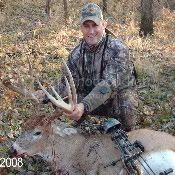 Whitetail World Forums » WTW Member Section » Classifieds » Canon XHa1 package deal! Select A Forum INFO ON NEW FORUM » Making the Move... It's All About The Whitetails » Whitetails "Catch All" » Got Pictures? Got Video? Got Questions? » Food Plots WTW Member Section » News and Notes » Introductions » Member Hunt Journals » Contests and Challenges » Classifieds » The Spot for Jokes and Games Some "Other" Stuff » Equipment / Gear / Reviews » Turkey Talk » Other Critters » FAQ's and "How To's"
Author: Subject: Canon XHa1 package deal! UPDATE: $2375 for the package. It has been a while since I have been on WW and I hope all is well with everyone. I'm graduating in May and stepping into a demanding position therefore I am going to have to sell all my camera gear. I hate to see it just sitting around collecting dust. Everything has been very lightly used and in great working condition. Please review the package below and email me at reed.l.taylor@okstate.edu with any questions, offers, or requests for pictures. - holds entire camera, 3 batteries, mic, tapes, external hard drive, and small accessories. Rhode Mic w/ short and long 16' cord for interview, etc. Hunter Cam Cradle Pro w/ fluid head in good shape. Heavy duty SONY tripod w/ built in LANC and easy to adjust ball head. All chargers and accessories needed to run the camera included. Home made cable slide for creek shots, etc. I would like to see $3200 for the entire package and will negotiate delivery or pick up. I can manage a drive if it is necessary to complete the transaction. Questions or offers please email the above address, anytime. Thanks!! A Great deal from a great guy! I'm pretty interested in this package..my cell number is 5159751019. Give me a shout! I am trying to get rid of this set up before my new job starts in May. I will reduce the price to $3075 and will be willing to drive up to 250 miles to meet you in order to make the transaction happen. I'm not sure you will find any deal quite like this to be completely honest... email me at the address in the original post. Additionally, here is a link to a short turkey hunt I filmed for Trevor Hicks. Last minute deal but it turned out pretty good. Thanks Randal, hate to see it go but it needs to sell. I figure it is the wrong time of year but it makes me sick to see it go for this low. Hope it sells soon. Email me guys if you have any interest!